For a lot of Americans, this is a bank. ONLY one thing is worse than the financial industry dangling inappropriate products in front of poor customers, and that is not providing them with financial services at all. In December the Federal Deposit Insurance Corporation (FDIC) released a survey that found roughly one in 12 American households, or some 17m adults, are “unbanked”, meaning they lack a current or savings account. The survey also found that one in every five American households is “underbanked”, meaning that they have a bank account but also rely on alternative services–typically, high-cost products such as payday loans, cheque-cashing services, non-bank money orders or pawn shops. Not all the unbanked are poor, nor do all poor people lack bank accounts. But the rate of the unbanked among low-income households (defined in the FDIC survey as those with an annual income below $15,000) is more than three times the overall rate. The proportion of poor Americans without an account compares particularly badly with other rich places (see chart). The unbanked usually have no alternative but to use cash for all their transactions. Without an account to put pay-cheques into, they have to use cheque-cashers. This does not just mean incurring a fee; carrying large amounts of cash also increases the risk and harm of theft. To pay their utility bills the unbanked need either a non-bank money order, for which they have to pay a fee, or a place that accepts utility payments in cash. When they need credit, the unbanked turn to payday lenders or, if they have a car, to car-title loans secured by their vehicles. Payday lenders say that high volumes–estimated at $29.8 billion for storefront payday lenders and $14.3 billion for online lenders in 2012–demonstrate high demand. Critics retort that much of that volume comes not from a broad customer base, but from customers taking out additional loans to cover the original debt. A study by the Centre for Financial Services Innovation, a campaign group, found that the average payday customer takes out 11 loans a year; the annual interest rate can exceed 400%. Lawmakers are taking an increasingly dim view of this: 18 states and the District of Columbia outlaw high-rate payday lending. 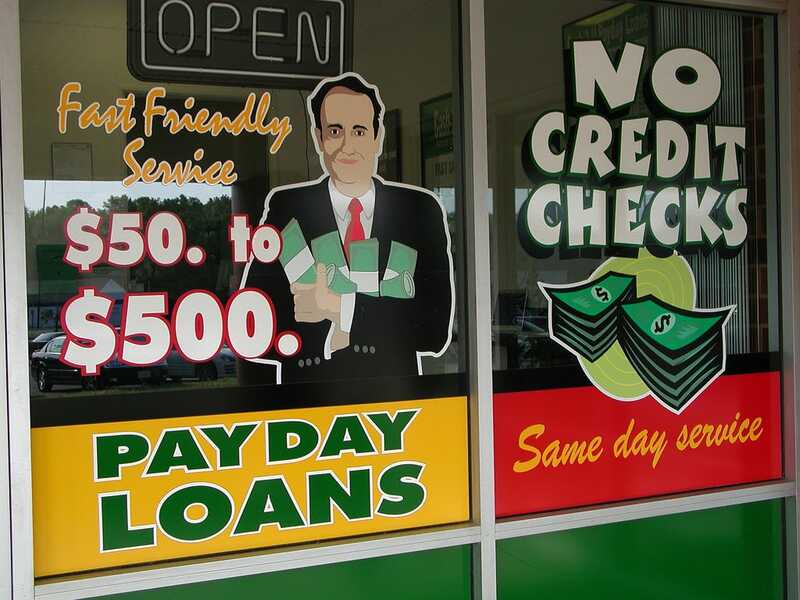 The nascent Consumer Financial Protection Bureau (CFPB) has held a public hearing on the subject, boosting speculation that the federal government may start regulating payday lending. Clamping down on payday loans would make more sense if regulators had not made it harder for retail banks to serve low-income Americans. The Durbin amendment–passed as part of the Dodd-Frank act in July 2010–capped interchange fees, the commission that merchants pay, on debit cards. One year earlier Congress passed the Credit Card Accountability, Responsibility and Disclosure Act (Credit CARD Act), which reduced interest-rate increases and late fees on credit cards. The CFPB is also looking at overdraft fees. Add in persistently low interest rates, which have eaten into banks’ net interest margins, and the economics of banking the poor is far less attractive than it was. Michael Poulos of Oliver Wyman, a consultancy, says that “before the crisis, almost every bank account made money. Big accounts made money on the spread, and small accounts made money on incident fees. You made money on all the accounts with interchange fees. All of that is either severely curtailed or completely gone.” Oliver Wyman reckons that US banks now lose money on 37% of consumer accounts. For those concerned that their low net worth bars them from the banking system, there are two reasons for hope. The first is that lenders and credit bureaus are starting to use a broader range of data to determine the creditworthiness of prospective borrowers. Many of the unbanked have no credit histories. But data from rent, mobile-phone and utility bills give lenders a way to find lower-risk borrowers. The second reason for optimism is an increasingly competitive market in pre-paid cards. Once simply reloadable proxies for cash, many of these cards now offer much the same features as bank accounts. Consider the Bluebird card, a joint venture between Walmart, America’s largest but decidedly downmarket retailer, and American Express, a decidedly upmarket credit-card firm. Among other things, Bluebird offers direct-deposit facilities (including an option where you can take a picture of a pay-cheque with your smartphone) and fee-free sub-accounts (so that a parent can give a child a card with preset spending limits). Pre-paid cards are not perfect: their fees can be sizeable and opaque, and they offer limited consumer protection. But they are convenient and a growing part of America’s consumer-finance landscape. The share of unbanked households using pre-paid cards rose from 12.2% in 2009 to 17.8% in 2011. The Mercator Advisory Group forecasts a compound annual growth rate of 21% for the pre-paid card market to 2015, by when it expects the total dollar amount Americans load onto cards to be around $390 billion, more than 10 times as much as in 2006. The banks may yet follow suit. Michael Barr of the University of Michigan suggests that big banks should start offering basic accounts–offering electronic payments rather than cheque-writing, for instance–that operate with either pre-paid cards or debit cards. Overdraft-proofing the debit cards and eliminating paper cheques would reduce cost and risk. Such accounts may offer banks only modest revenue, but that is still better than none.